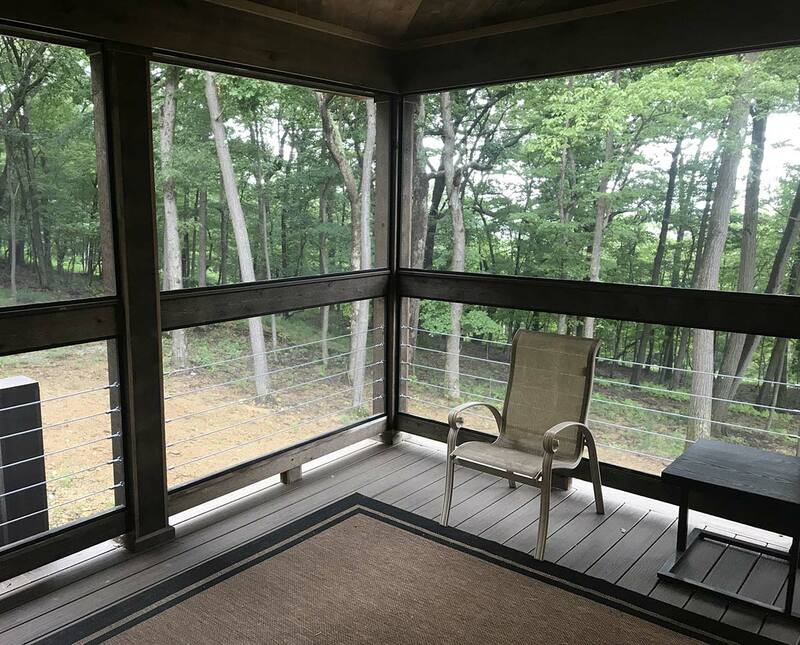 We love hearing about all the porch, patio and deck screening projects that our customers complete throughout the year. This project came from Donald in Pittsburg who chose Mini Track because of its simple two-part system and ultra low profile aluminum channel. 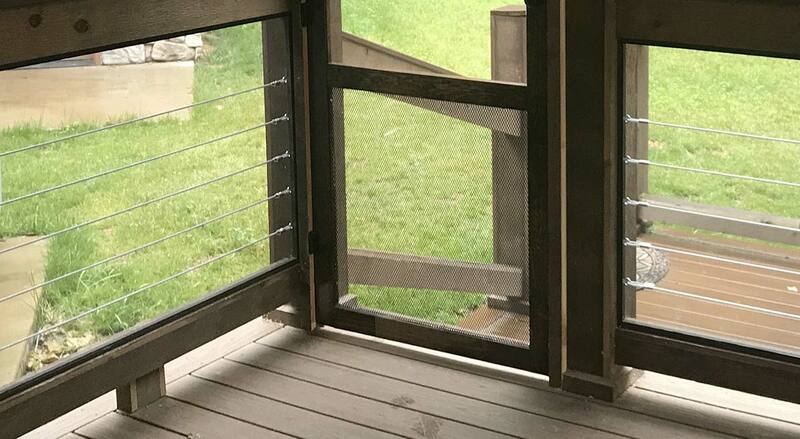 Attach the screen to the porch framing with a few screws to make the entire job a lot easier — especially if you’re screening a porch by yourself. Simply attach the screen to the porch frame while you roll in the spline for the other sides. Then remove the screws, roll in the spline on the final side and trim off the part of the screen that has the screw holes. Make a screw spacing template to speed up the process of drilling pilot holes. Donald did this with a 4 foot section of lattice and marked the holes he needed to drill. Each 8 foot length needs about 12 screws, so it’s useful to pre-drill as much as possible. Mini Track spline is pretty easy to work with but temperature can have a big impact. Donald had the innovative idea of soaking the spline in warm water briefly so that it becomes more pliable. This is an especially useful trick if you’re screening in cooler weather. The end result looks fantastic and is a great example of a DIY screened-in porch. For added protection, Donald’s porch incorporates a pet guard in his screen door and cable rail for his guardrail infill. Check out the Mini Track installation guide to learn more about our popular screening system. If you would like to show us your project we’d love to see it. Drop us a line and send us some porch project photos!